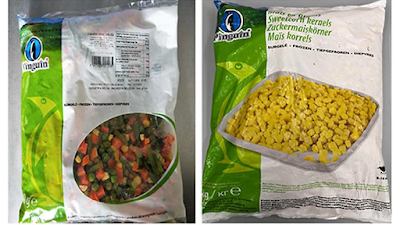 The Agri-Food and Veterinary Authority of Singapore announced it has recalled Pinguin's frozen mixed vegetables and sweet corn kernels, amid a listeria outbreak in Europe. An alert on a multi-country foodborne outbreak of Listeria monocytogenes in Europe has been issued by the European Commission’s Rapid Alert System for Food and Feed, said AVA in the press release. The outbreak was possibly due to microbial contamination from a production plant, Greenyard Frozen, in Hungary, said the authority. The implicated products are Pinguin's 1kg frozen mixed vegetables, with any expiry date up to March 2020 as well as the 2.5kg packet of sweet corn kernels, with any expiry date up to February 2019.